At the accasion of the 10th anniversary of the European Research Council (ERC), we interviewed 3 Japanese researchers who participated in the first ever batch of scientists who were sent to ERC teams under the ERC-JSPS Implementing Arrangement (2016 call). Wishing you a good read! 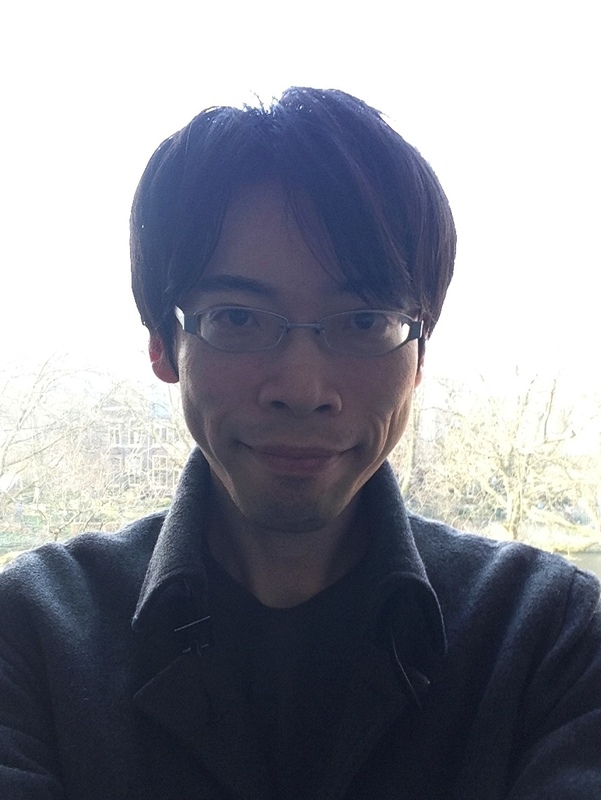 Masaya Uesugi, PhD, is a research fellow of the Japan Society of the Promotion of Science (JSPS) and a postdoctoral researcher at Kinugasa Research Organization, Ritsumeikan University. He received his Ph.D. from the Department of Urban Engineering, The University of Tokyo in 2015. He has a disciplinary background in geography and planning, and his current research interests include urban neighbourhoods, residential environment, and geographic information sciences. He is hosted by the DEPRIVEDHOODS ERC project team headed by Prof. Maarten Van Ham at the Delft University of Technology, Netherlands. - Masaya, can you introduce your research interests to our readers? My research interests are socio-economic residential segregation in urban neighbourhoods and its consequences. I am interested in how people who are different in terms of social or economic status live apart in a city and how this separation is related to their residential environment. Currently, I am investigating the differences in socio-economic segregation in cities between Japan and Western countries. - You were one of the few Japanese researchers who benefited from the ERC-JSPS exchange scheme call last year. Can you tell us a bit about what motivated your choice to go to Europe? My host researcher Prof. Dr. Maarten van Ham is heading the ERC project “DEPRIVEDHOODS” at Delft University of Technology in the Netherlands, which is a leading project in the field of urban studies and largely overlaps with my research interests. I came to know of the project from the books and papers published by his team. Although we have not entered into any partnership so far, the ERC-JSPS exchange scheme provides me with an opportunity for cooperation. Without this programme, I might not have visited Europe. - How long did you stay there? What would you say was good about that stay? I stayed at Delft University of Technology for two months. It may be a short period, but it provided me with an international perspective on my research. My host researcher was very supportive and I really appreciate it. We conducted a comparative analysis of occupational segregation for three major global cities and I could learn about data, methods, and software to measure and describe the segregation in multiple ways. Especially, I was able to work with my host and his colleagues; discussing the findings and stories of our research with them was very insightful and exciting for me, and I learned a lot from them. - Do you think this experience will have a positive impact on your career? Absolutely, yes. First, as I mentioned, I gained an international perspective and built networks, which had been lacking in my early career. Second, by putting myself in a different environment, I could enhance my adaptation to new environments, which is one of the most important abilities of researchers. Third, the ERC-JSPS exchange scheme facilitated new international research collaboration between European top researchers and me, and we are going to write papers. I believe that working with many different people and achieving results within a limited period will benefit my career. - How would you say research environments compare between the country you visited and Japan? I did not feel major differences between the countries in terms of the physical environment, including facilities and equipment during my stay in the Netherlands. The biggest difference is the diversity and mobility of team members. In the Netherlands, the members come from a lot of countries, and many guest students and researchers (including me) join the team frequently. I was stimulated by their daily life activities and seminars. - Do you have a message to your fellow Japanese researchers to encourage them to apply to this ERC-JSPS exchange scheme? I would like to suggest the JSPS research fellows who are interested in international research collaborations and do not have enough experience working abroad to take advantage of the opportunity presented by this scheme to cooperate with top researchers from Europe. In my case, the period of stay was limited because I was also working as a part-time lecturer at universities in Japan. It would benefit you if you invest as much time as permitted by circumstances and take on the challenges posed by new surroundings. - A final, more personal question: how do you envisage your career and where? I am hoping to work in academia. Although many factors must be considered while choosing a career path, I have come to prioritize autonomy considering my past experiences in working at a non-academic institution for a few years. My research interests are mainly Japanese cities, where socio-economic inequality has been growing in recent years. So, staying in Japan will be advantageous for my research activities. However, through this experience in Europe, I have recognised the importance of developing international research collaborations and exporting the research products accumulated in Japan to the world. I hope that we can maintain the relationship built by this ERC-JSPS exchange scheme even after my return to Japan. Thank you very much and all the best for your career! 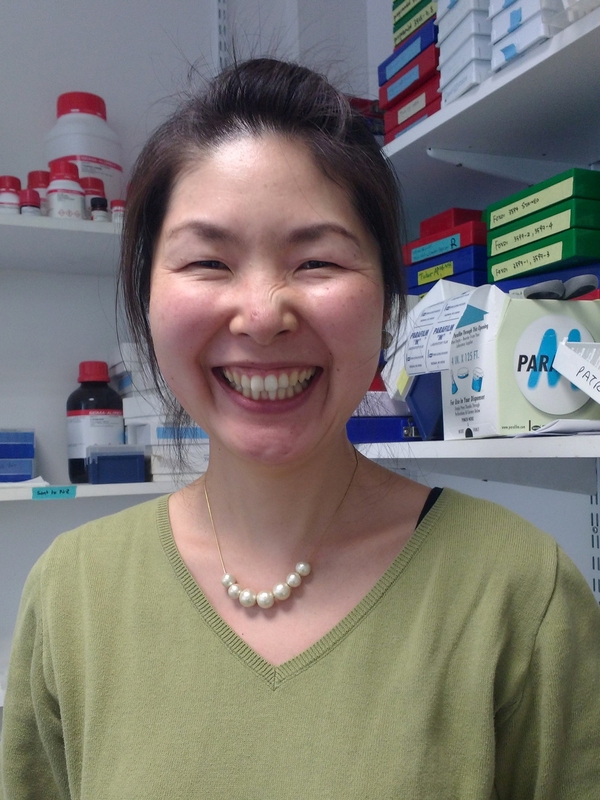 Kazuyo Suzuki is a JSPS research fellow in the Department of Diabetes, Endocrinology and Nutrition, Graduate School of Medicine Kyoto University where she has completed her Ph.D. Kazuyo also holds a Board Certification of Diabetologist. Her research interests lie in nutrition science, especially the molecular mechanism of gastric inhibitory polypeptide (GIP) secretion from enteroendocrine K-cells in response to food ingestion. She is hosted by the RariTOR ERC project team headed by Dr. Mario Pende at the Institut National de la Santé et de la Recherche Medicale (INSERM), Paris, France. - Kazuyo, can you introduce your research interests to our readers? While nutrition is essential to metabolism in all living things, over nutrition causes diseases. The aim of my research is to investigate new therapeutic applications to obesity related diseases by clarifying some of the fundamental mechanisms of hormonal secretion of gastric inhibitory polypeptide (GIP) in response to meal ingestion. GIP has direct effect on energy accumulation into adipose tissue, thus the examination of mechanisms of GIP secretion provides new clinical insight to prevent obesity. To be honest, I was first thinking about visiting an English-speaking country. However, I found out that in the huge list of ERC projects looking for Japanese researchers was the group of my current host (“RariTOR“), a leading research team in my field working on a specific topic that was completely new for me. Since I felt that it would be a very exciting experience, I applied right away. - What would you say is good about that stay? My stay started in summer 2016 and it is scheduled to last 13 months. I had to spend the first month of my stay to correctly prepare for the new living environment (my daughter, who was born in 2011, is following me). Thanks to this exchange, I have gained more knowledge and technical skills; and I have had numerous wonderful encounters, not only in the lab but also in the residence which is located in the Cité internationale universitaire de Paris and welcomes researchers and artists from all over the world. Absolutely yes. The time constraints for child-rearing professionals do not change between here and Japan, but because I cannot work as a clinical doctor in France, I have more time to concentrate on research solely. I think that I have also been able to spend more time to discuss and think about how to advance in my future research projects. - What is the difference between France and Japan in terms of research environments? I feel that communication throughout the entire host institute is more open and frank compared to that in my Japanese university’s department. In the host institute, everyone is friendly, and regularly we receive emails from colleagues asking for cooperation: “Does someone have an anti-x antibody for a test?”, ”Would someone spare me few mL of x for a test?”, which would never happen at home. In addition, a majority of researchers at my host institute are female. The director of the institute is also a woman. Since there are overwhelming numbers of men in my department at Kyoto University, I am happy to work in a different environment now. - Did you face specific challenges doing research in Europe as a Japanese national? Nothing specifically comes to my mind. Indeed, in a multi-national environment, we strive to understand each other and exchange opinions, and there is a noticeable language barrier that is often mentioned as especially difficult to the Japanese. However, simple expression in English is enough as a communication tool in France, where English is not an official language. This situation is actually a good opportunity for me to learn both French and English. It was a big surprise for me to look at the result of the first call (in 2016) with only a very small number of travellers. I am sincerely grateful to all the department colleagues in Japan's who have allowed and supported me to apply to this exchange scheme. As I am under RPD funding from JSPS [specific funding for young researchers who have had a break in their career, for example to raise their child], I would be happy if you advertise that it is possible for women researchers with children to perform research and to stay abroad. After my stay in France, I will return to Japan and continue my research as long as I can. As a mother, there will be time constraints, so I think that the way I work will still have to correspond to these constraints for a while. Although I could not imagine working overseas before this exchange, now it seems for me that Europe and overseas may be included in my choices. I greatly appreciate the ERC-JSPS exchange scheme giving me this precious experience. Thank you for your time, and best of luck for your career! Dr. Fumikazu Furumi is a JSPS postdoctoral researcher at the Graduate School of Human Development and Environment, Kobe University, Japan. He completed a PhD on the developmental study of role-play effect on mindreading (Kyoto University) and was awarded best PhD student of Graduate School of Education, Kyoto University in 2013. He was selected as a member of Emerging Psychologists’ Program of the 31st International Congress of Psychology. He is hosted by the INTERACT ERC project team headed by Dr. Antonia Felicity De Courcy Hamilton at the University College London, UK. - Fumikazu, can you introduce your research interests to our readers? My research area is developmental psychology and I am interested in human’s mindreading skills. My previous studies showed that people have difficulty in reading the minds of people with different cognitive styles and that one can improve such kind of mindreading skills through role-play (Furumi & Koyasu, 2013, 2014). Currently, I am very interested in the effects of Virtual Reality experience on mindreading, which is what I was researching at the University College London as an ERC-JSPS postdoctoral researcher. When I found the name of Dr. Hamilton and her research project “INTERACT” in the list of ERC researchers who volunteered as a host researchers for this ERC-JSPS exchange scheme, I thought that her research topic was very interesting and our research interests were very similar. I was convinced that doing research at Dr. Hamilton’s lab with many young researchers from various countries would be a wonderful experience. I stayed around 4 months and I am planning to come back later to stay 2 more months. This would allow me to get programming skills to build a Virtual Reality experiment. 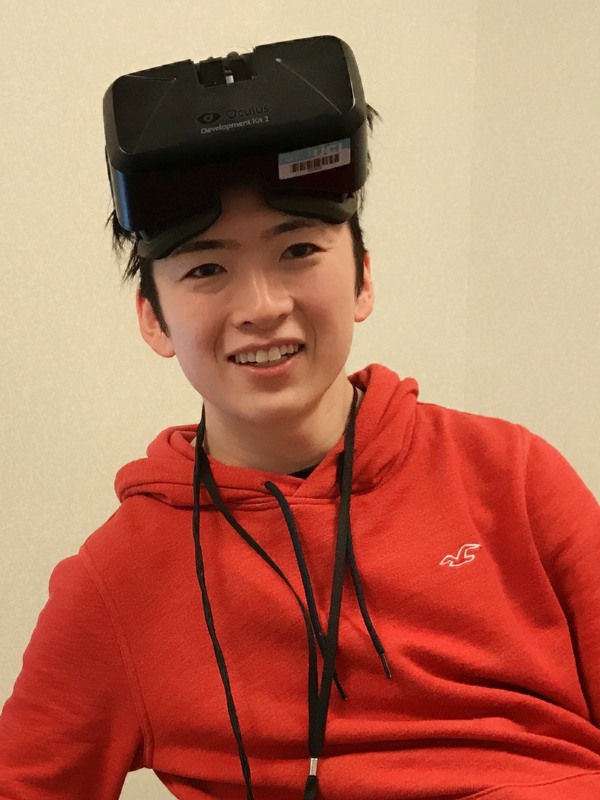 In fact, I had never used this kind of complex programming before and I did not think that I could perform Virtual Reality experiments before I started my research at Dr. Hamilton’s lab. I think I will be able to do more interesting research thanks to the skills I obtained during my stay. Also, I met many researchers in UK, which is very important for my future research. - What is the difference between UK and Japan in terms of research environments? I think University College London has better human resources than Japanese universities. Office people were very kind and friendly, and provided me with all the help I needed. As a result, I felt it allowed me to do research more easily than in Japan. In my opinion, Japanese universities need more human resources because many researchers have to do a lot of administrative work. In contrast, I think Japanese universities may have better facilities than UCL. When I wanted to perform an experiment at my host institute, I had to book an experimental room, but schedules were so busy that I could not use the same room for the whole duration of my experiment. I also had to bring computers from one experimental room to another. I did not face that problem when I was a PhD student at Kyoto University. Yes. I talked with my host PI about our research and prepared English instructions for the experiment. However, participants were from various countries. The first 10 participants seemed not to understand the instructions completely, so we had to discuss this problem and we modified instructions many times. Although we finally found a workaround solution, this is in my opinion one of the challenges of doing research abroad. In my opinion, this ERC-JSPS exchange scheme is very important for young researchers to get to know new countries besides Japan. There are many countries in Europe and each country has different culture. I think it is valuable for Japanese researchers to communicate with researchers from various cultures. Do not hesitate to visit other countries! Do not worry about languages! You can communicate with various people and find many things in your life in Europe! I want to stay in academia. I like both Japan and UK, so I cannot choose between them. I would like to do research both in Japan and UK! Also if I can get a chance, I would like to visit some other European countries.